My kids have gotten rather addicted to cuddle fabrics on our throw pillows, so I knew when I sewed these quilted I-Spy Hearts, I wanted to put Cuddle on the back of them, so one side would be super soft. 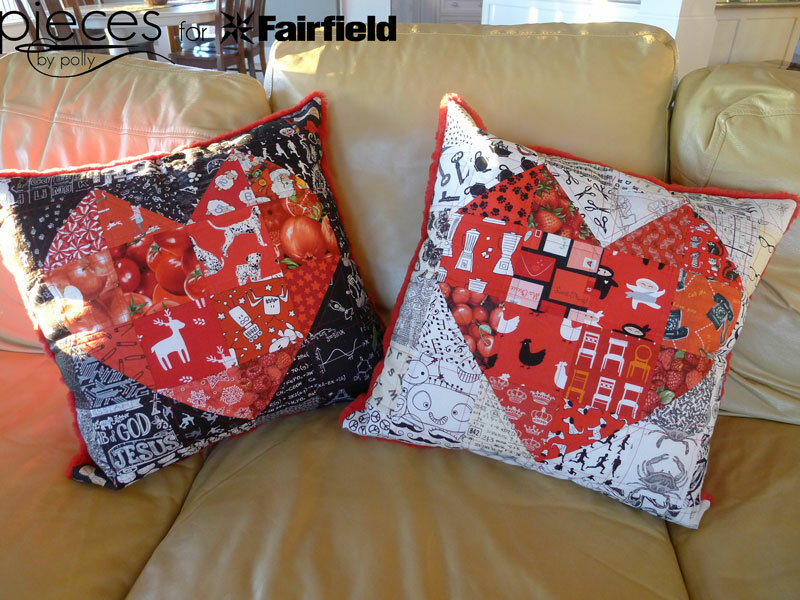 (Thanks to Fairfield World for providing me with the pillow inserts and compensating me for writing this post and to Shannon Fabrics for providing me with the cuddle fabric. All opinions are 100% my own. This tutorial will work to turn any quilted pillow front into a pillow with cuddle backing. 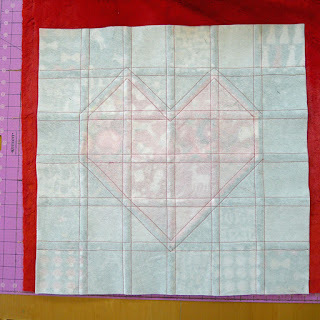 For instructions for sewing the Scrappy Heart Block together, you can see my tutorial here. 2/3 Yard of Cuddle 3 or Soft Cuddle from Shannon Fabrics in your chosen color. 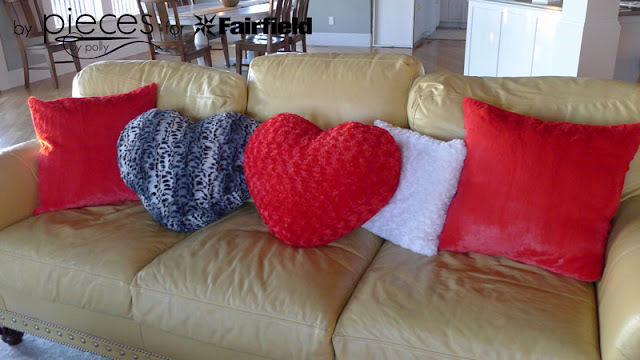 (I used Soft Cuddle in Scarlet.) 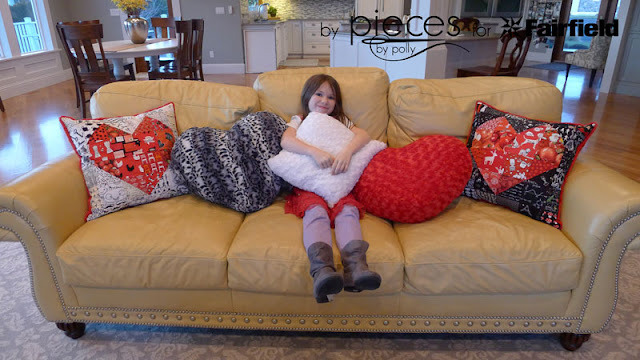 This is enough for 2-3 pillows because it comes 60" wide. Zipper 4-5" shorter than the width of your quilt block. For mine, that was a 16" zipper. 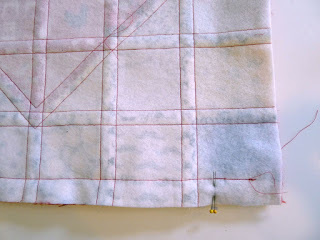 One of the keys to working with cuddle fabrics is to move them around as little as possible because they can be slippery and give off a lot of cuddle dust (fuzz.) If you're new to sewing with Cuddle, you'll want to check out these Cuddle Sewing Tips on the Shannon Fabrics website. 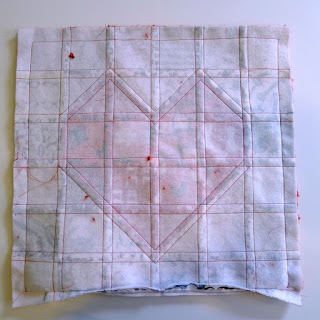 Start by laying your Cuddle fabric FACE UP with your quilted block FACE DOWN to cut cuddle backing to the right size. 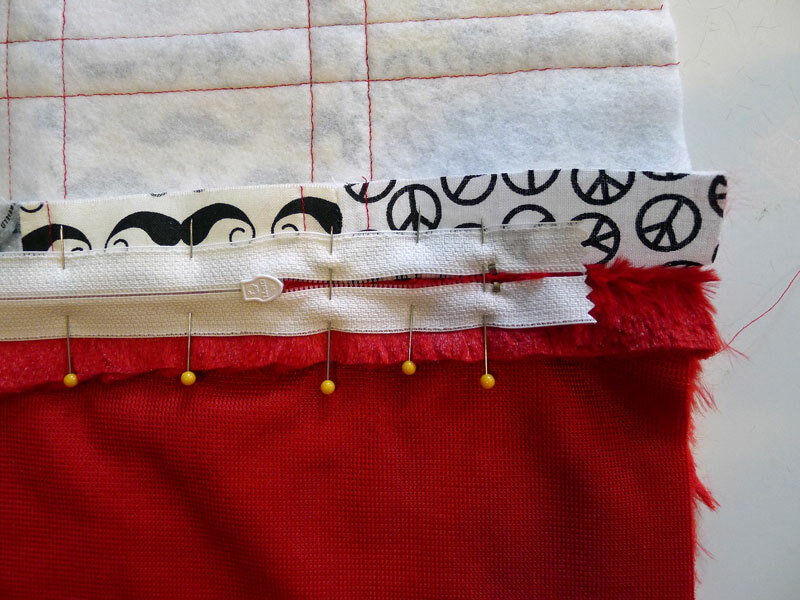 Pin thoroughly along the size where you plan to install your zipper. 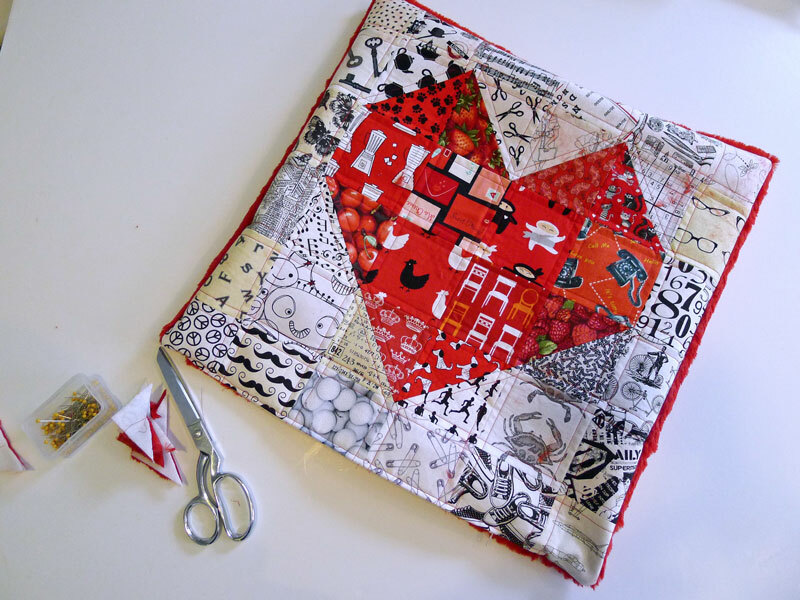 I chose to put my zipper at the bottom of my block. Using your ruler or tape measure, mark 2 1/2" from each side with a pencil. 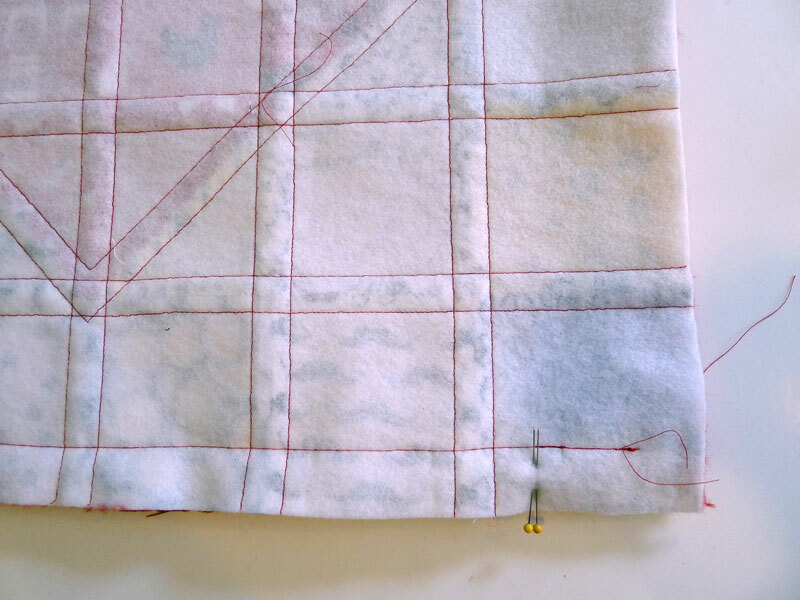 I also like to double pin the spot that I've marked as an extra reminder while I'm sewing. Stitch with a 1/2-1 inch seam allowance, starting 1 inch from from the first edge and ending 1" short of the final edge. 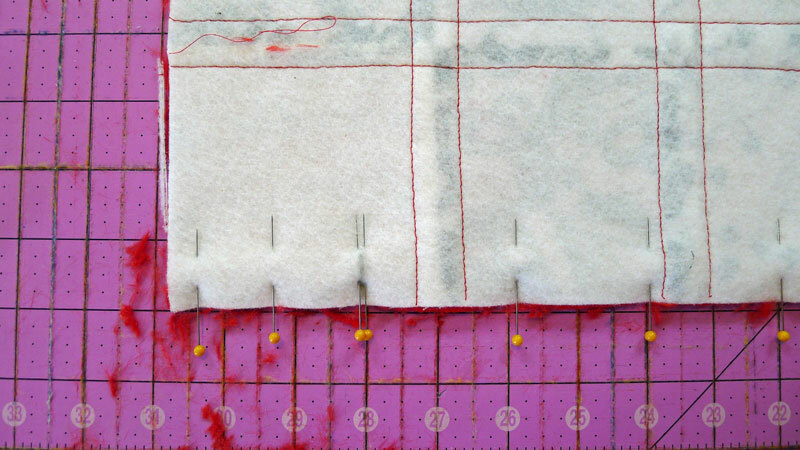 (If you choose to use a 1/2 inch seam allowance, you'll leave 1/2 inch unstitched at each end. 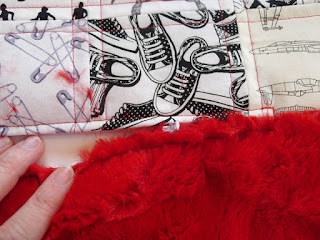 I used a 1" seam allowance because I wanted a tight fit on my pillow. 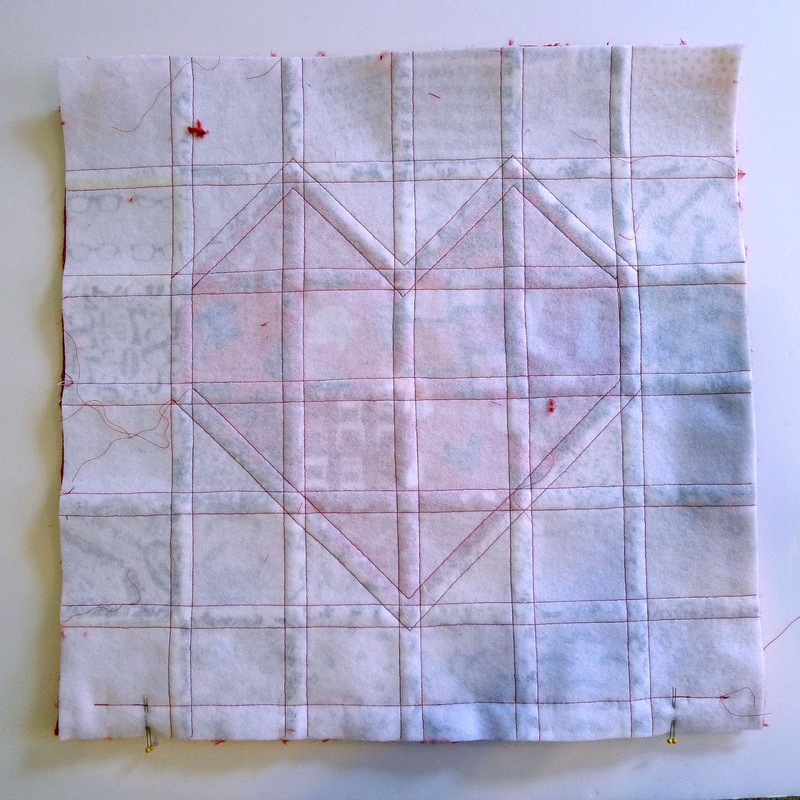 Use a regular straight stitch on the two ends, and a much longer basting stitch across the middle section, and backstitch at the beginning and end of the basting stitch sections. 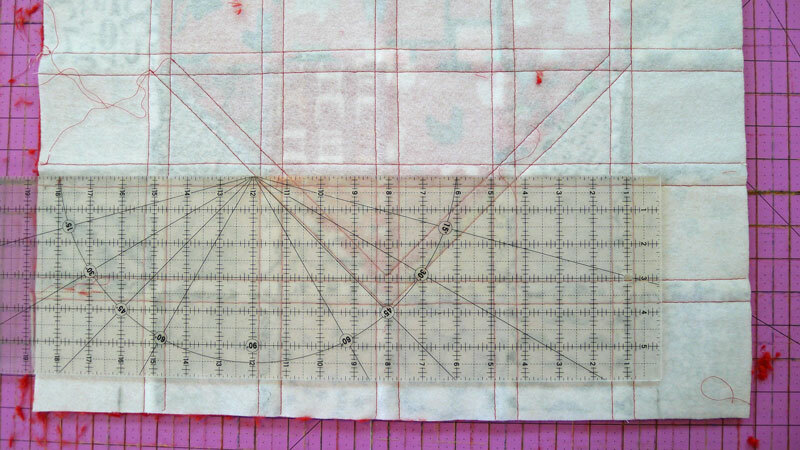 When I'm doing a basting stitch, I set my machine to the maximum stitch length. Open up your seam and thoroughly pin your zipper in place, with the zipper unzipped a couple inches. Use a seam ripper or small scissors to remove your basting stitches, and open the zipper. 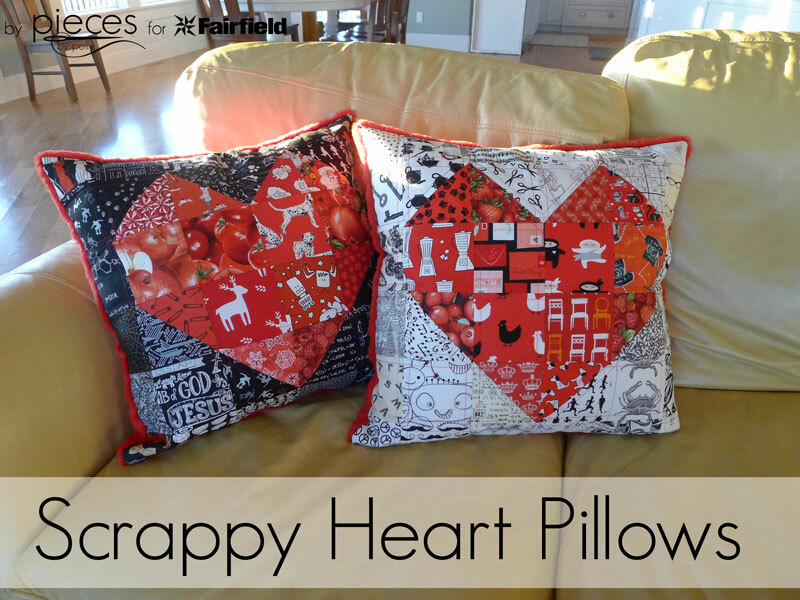 Remove pins and fold your pillow back together with RIGHT SIDES TOGETHER. 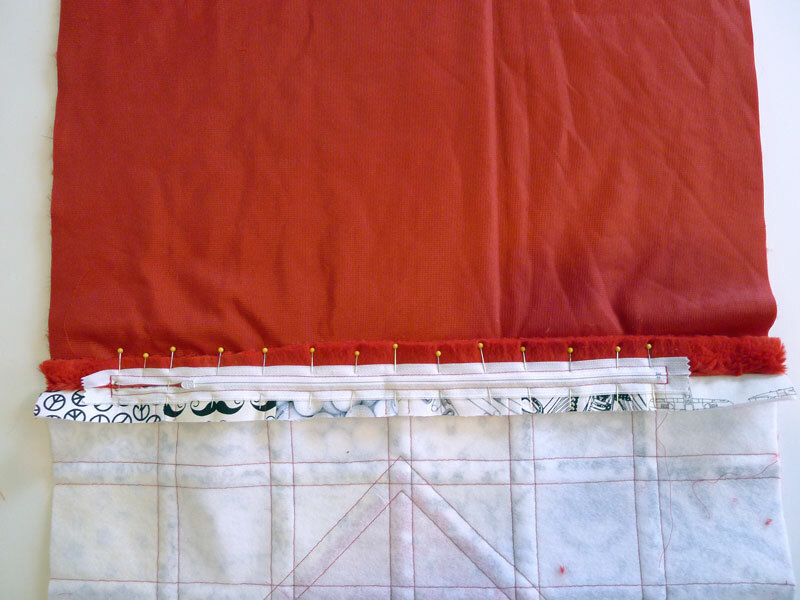 Pin thoroughly around the three remaining sides of your pillow cover. 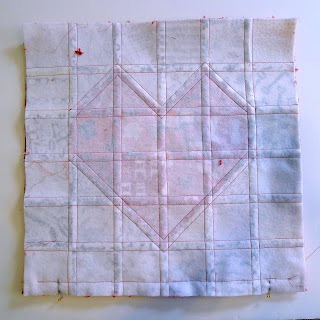 Stitch with a 1" seam allowance around the remaining three sides. Add a Home Elegance Pillow insert or some Poly*Fil Fiber Fill. 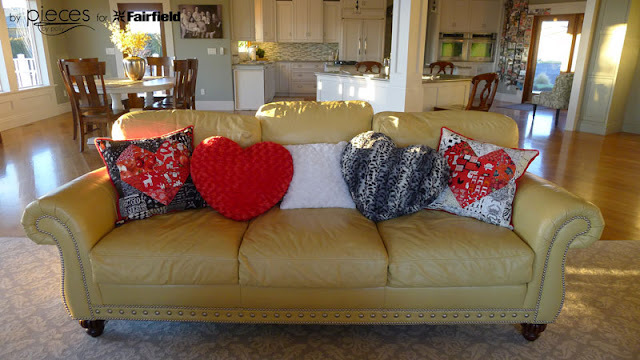 The white pillow in these pictures has a pillow insert and the black pillow has Poly*Fil, just for comparisons sake. 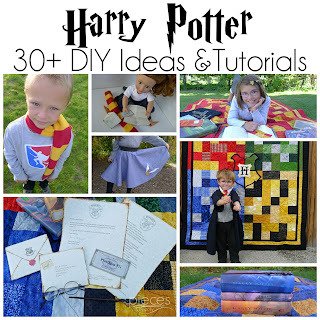 ...or their backs are showing. 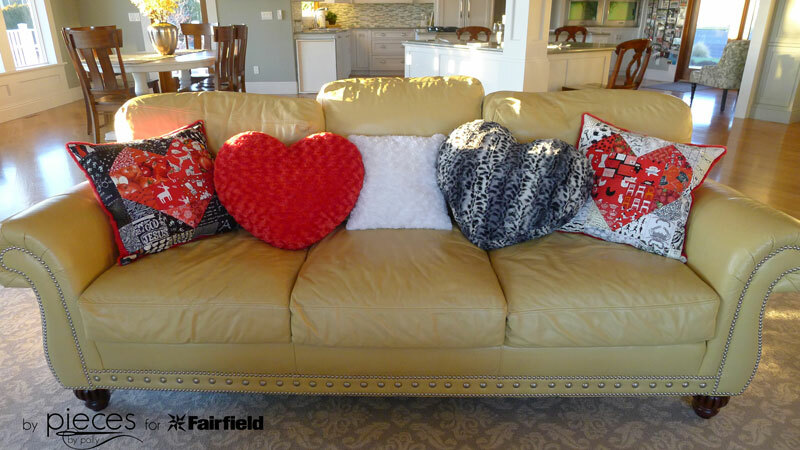 And you just might want to pair them with some of the oversized Heart Pillows we made with Cuddle fabrics too. 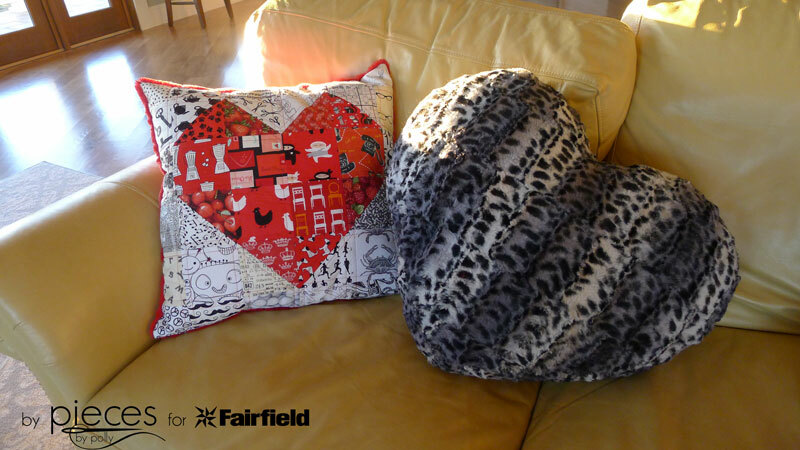 You can find the free pattern and tutorial for the heart pillows here on the Fairfield site. 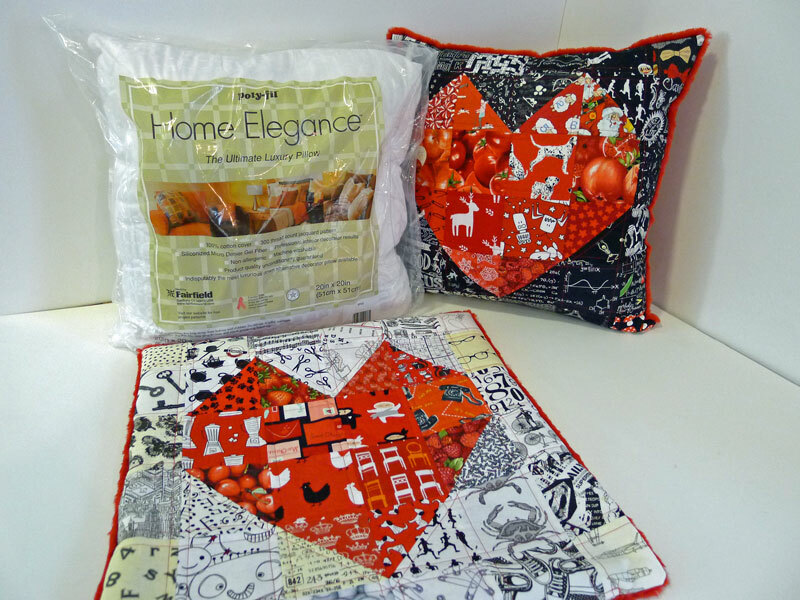 You can cuddle fabrics from Shannon Fabrics at local quilt shops and fabric stores, and online too. 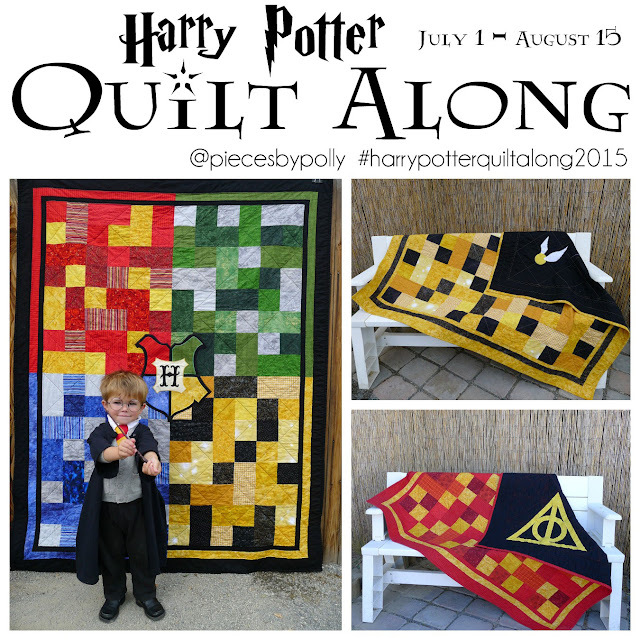 For more information, use their Store Locator.